Baby Eunice and Fibha (RA) playing before a study! 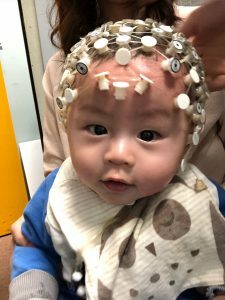 Henry is wearing an EEG cap. 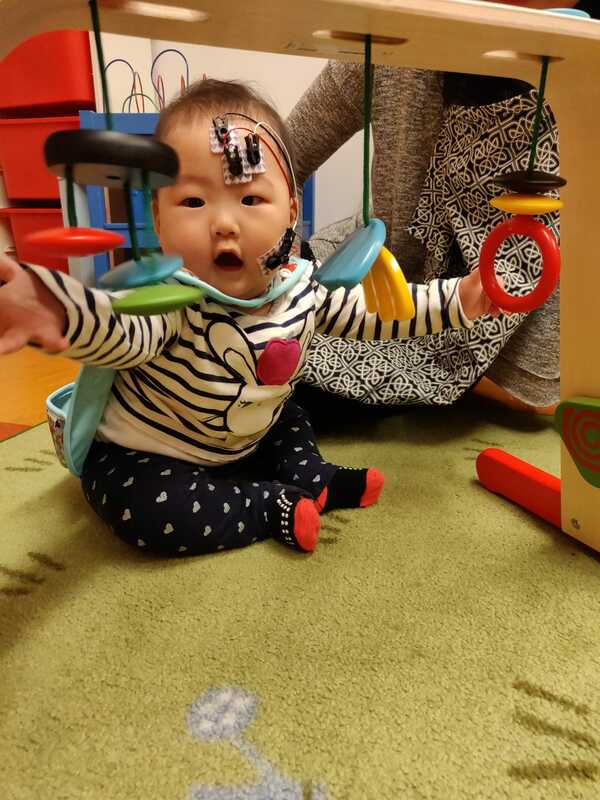 This cap helps us to measure baby's brain waves during a variety of activities! 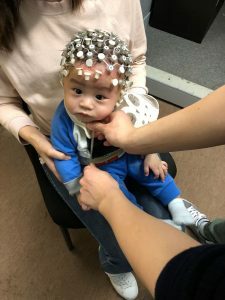 Baby Lucas getting his EEG cap fitted. 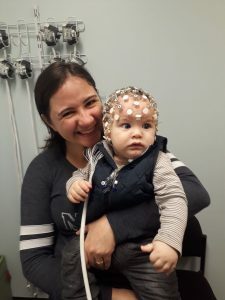 Baby Lucas all ready for his EEG study! 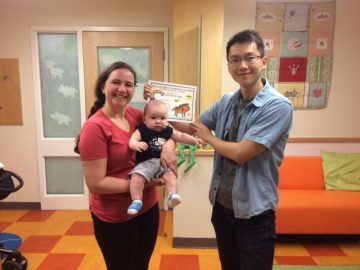 Baby Henry, mom and Julia (MA Student). 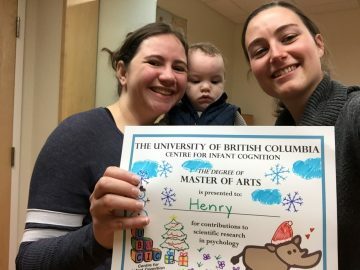 Henry got his Master of Arts degree just like Julia. 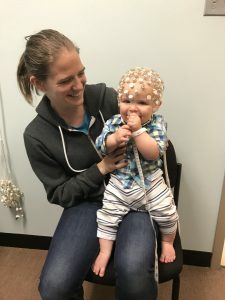 Henry sporting the EEG cap! Rea playing with some EMG sensors on!